Bullying is described as a behavior marked by two distinct features: the intent to create a power imbalance and the frequency with which it occurs. There are various strategies used to gain and manipulate this power over others, but it’s often the instances of bullying involving physical aggression in school settings that get the most attention. For the purposes of this article, I’d like to shift the focus to a more subtle and common type of bullying: relational aggression. Relational aggression is defined as a nonphysical form of aggression with the motive to impair the targeted individual’s social standing or reputation. Unlike physical bullying, we have probably all been on the receiving end of relational aggression at some time or another. Because we are social creatures and wired to desire acceptance, this form of bullying can be particularly toxic. While a few instances of relational aggression may not seem to be that bothersome, the cumulative effects can result in lowered self-esteem, decreased confidence, depression, anxiety, distrust, and resentment. Ironically, it’s the frequency with which relational aggression happens that makes it more difficult to detect. We can become desensitized or adopt an attitude of “that’s just the way things are” in response to these emotionally abusive behaviors. Taking on this perspective will inevitably lead to maladaptive ways of responding. While a few instances of relational aggression may not seem to be that bothersome, the cumulative effects can result in lowered self-esteem, decreased confidence, depression, anxiety, trust issues, and resentment. 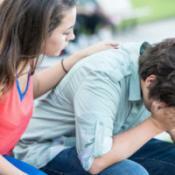 It can take a real emotional toll over time, and consequently be more difficult to heal from. Countering these acts of verbal and social aggression requires setting boundaries. Otherwise, the power-seeking individual is continually reinforced by a lack of consequences for the unwanted behavior. Remaining calm when responding is important, as the instigator is often made to feel more powerful the more out of control or emotional the target becomes. Of course, it’s certainly easier said than done to remain calm in the face of emotional bullying. Crick, N.R., & Grotpeter, J.K. (1995). Relational aggression, gender, and social-psychological adjustment. Child Development, 66:710-722. There are things that people do every single day that make us feel insignificant and this to me is the same thing as being bullied. It sounds as though you are no stranger to relational aggression, as being made to feel insignificant in deliberate ways and on a frequent basis by others is a key feature. My suggestion for anyone feeling this happens more frequently than not is to attempt to build awareness around patterns…such as does this happen more at work versus around friends, or vice versa? And then notice how you are responding to it and if that seems to be effective. Obviously we can’t expect everyone we cross paths with to treat us with kindness and respect, so cultivating the ability to differentiate between those who treat us as someone of value and those who do not is key. Spending the bulk of our time with those who treat us kindly and respectfully generally serves as a buffer for some of those negative encounters. Thanks for sharing your thoughts and comments! The term “frenemy” comes to mind when I read this. That term also came to my mind as I was writing this piece. 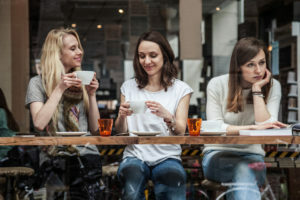 Having a “frenemy” dynamic within a relationship certainly lends itself to some of behaviors exhibited in relational aggression. Thanks for your feedback! It amazes me how many times I have let myself be strung along and used by people who at the time I thought were my friends but all along they were using me to either get to another person or they were in it for something for themselves. I would think that they were my friend and I couldn’t see what other people were trying to tell me, that I was being used. And that can be so hard, so hurtful, to know that someone that you really thought was your friend, in the end they really didn’t care about you at all. The experience you describe having on multiple occasions sounds incredibly painful. It can be difficult to see the big picture when we are focused on one small aspect of it…for you in these instances, it sounds like you were trying diligently to form connections. It’s very normal and natural to desire connection, so much so that it can blind us to the costs associated with that goal. But it appears you are gaining awareness this is an unhelpful pattern for you and that is always the first step in making healthy changes. I’d encourage you to seek the help of a professional if you find this pattern difficult to break on your own. You deserve to be on equal footing in all of your relationships, and to feel valued. Thank you for sharing your experience. Thank you for sharing your insight. I think the example you provided is certainly one ripe with the possibility of the term “relational aggression” being misused. It’s a fairly common phenomenon for some amount of tension and disagreement to occur between generations on a number of topics, including child rearing. I don’t think the answer lies in silencing one side or the other, but rather coming to a clearer understanding of what’s being communicated and the intent behind it. Having a low tolerance for receiving feedback, when delivered neutrally or constructively, does not grant the valid claim one has been on the receiving end of relational aggression. On the flip side of the coin, being able freely share feedback in any manner you choose (especially when it is deliberately used to create a power imbalance and done so on a frequent basis) does not usually go over well either. Resolving the issue you speak of can be particularly tricky due to the nature of preexisting relationship dynamics between children and parents, before grandchildren ever came into the picture, but not impossible. Thank you again for sharing this perspective! I know people who do this and for them it is as if they are totally oblivious to the fact that this is what they are doing. What they do they perceive to being alpha instead of just downright hurtful. I know that there are always the people who have to be the one in charge, in a leadership role I suppose, but how can they not see that their actions are actually hurting someone else? I think that many might share this perception of those who are instigators of relational aggression. I think in some cases, the instigator can actually be oblivious. This way of relating to others is many times learned in the family of origin, and it’s here the behavior gets normalized. Also, individuals who commit acts of relational aggression can come across as intimidating to others, which may leave those on the receiving end fearful of asserting themselves. This cycle perpetuates and reinforces the relational aggression. In other instances, the instigator is aware of what they are doing, and does it despite the negative impact on others in order to achieve a sense of personal gain. All we have real control over is how we are responding to relational aggression when it occurs, which hopefully are healthy and empowering ways for ourselves and others. Thank you for sharing your thoughts and comments on this topic! I think your comment that this learned behabhviour in family of origin is spot on. It also becomes normalized – however I think when you break away from such behaviour & actually challenge it it can be one worse and individuals become aware if the hurt but are in either constant denial or use gaslighting – distance help but often relationships do suffer as a consequence because it gets to the point where you cannot put yourself through those upsetting events continuously especially when you know what healthy relationships are. Not only is the learning curve very steep, especially for the older generations, when it comes to understanding the dynamics of relational aggression and how deeply ingrained it is, we aren’t ever going achieve sustainable positive improvement by continuing to encourage the use of it as a coping mechanism or healing modality for difficult relationships. Relational aggression is a form of ostracism, which is in turn is considered a severe form of bullying. Ostracism has continued to be viewed and used as a powerful tool to control/change the behavior of others by humans for centuries because of the fact that it inflicts such deep and lasting pain. No matter what it is called It’s abusive, regardless of who’s doing it to who and for what reason. Agreed on many of the points you make. This behavior can become a deeply engrained one within families and difficult to stop. It is certainly a maladaptive coping mechanism for some that only leads to further rupture of relationships. I do hope that spreading awareness will play some small role in shifting perspectives, and possibly behavior modification. Thank you again for sharing your views and helping to point out the far reaching impact this behavior can have. This is the first I’ve ever heard a name for this kind of actual abuse. I have encountered this in my Spouses Family. They are good for picking favorites among their Children, but also treating the partners the same way. Never trying to bring you into conversations or show an interest in your life. I have learned that this is how they have treated their own certain Children also. Very sad and I find it very uncomfortable being around such judgimental people. Glad to see this being called out. Thank you. Thank you for sharing your personal experience and how this impacts you. It is, unfortunately, quite common in family settings. Having said that, knowing what it is and how to respond can assist in breaking the pattern, or creating enough of a disruption to at least decrease the frequency. Thanks again for reading and commenting! Do you offer help for this behavior? I have tried to tell myself that I just won’t let it bother me, but that doesn’t seem to work very well. Thank you. Don’t hesitate to message me with any further questions through the contact submission form found by clicking the heading “Contact” on my home page. Thanks for your interest and inquiry! If they bully you, they dont love you! Agreed – bullying is not an act love. And it is unfortunate and not ok if that is happening within any relationship.